Coach Wooden’s greatest accomplishments were not limited to basketball. He brought an entire community together, inspired them with championships, and taught them how to master the fundamental skills that turn any dream into reality. The gyms he coached in became chapels, the court a pulpit where he preached a different kind of success approach. 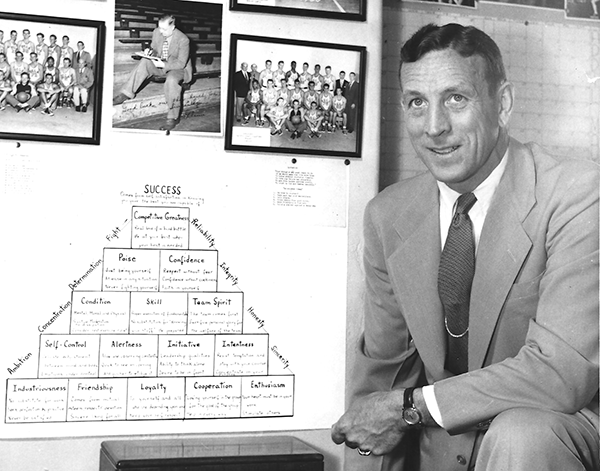 When Coach Wooden introduced the world to the Pyramid of Success, he offered us all a roadmap for individual and team excellence—the same roadmap he used to build a legacy unmatched in the game of basketball. The life principles summarized in the Pyramid of Success had no explicit reference to basketball or athletics. The coach’s diagram was simply a roadmap to being a better person. 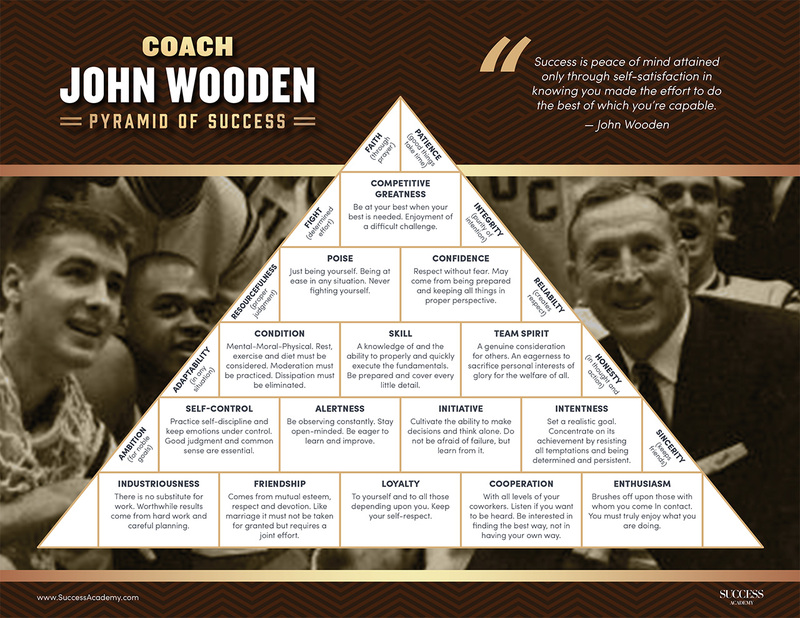 Join SUCCESS Academy for an unprecedented online learning experience about John Wooden’s Pyramid of Success, now enrolling. To yourself and to all those depending upon you. Keep your self-respect. Be observing constantly. Stay open-minded. Be eager to learn and improve. Cultivate the ability to make decisions and think alone. Do not be afraid of failure, but learn from it. Brushes off upon those with whom you come in contact. You must truly enjoy what you are doing. Practice self-discipline and keep emotions under control. Good judgment and common sense are essential. Comes from mutual esteem, respect and devotion. Like marriage, it must not be taken for granted but requires joint effort. With all levels of your co-workers. Listen if you want to be heard. Be interested in finding the best way, not in having your own way. Respect without fear. May come from being prepared and keeping all things in proper perspective. A genuine consideration for others. An eagerness to sacrifice personal interests of glory for the welfare of all. Just being yourself. Being at ease in any situation. Never fighting yourself. Mental-Moral-Physical. Rest, exercise and diet must be considered. Moderation must be practiced. Dissipation must be eliminated. Be at your best when your best is needed. Enjoyment of a difficult challenge. 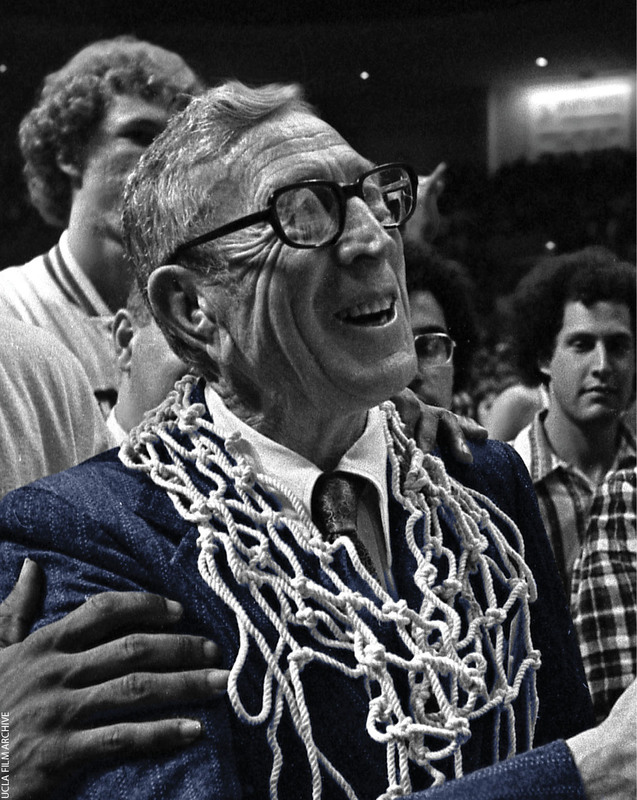 This 10-module course, celebrating Coach Wooden’s 10 record-setting championships, shows you how to use the Pyramid of Success to craft a championship mindset that “win” any goal. Using archival footage graciously shared by the Wooden family and UCLA this course finally uncovers the long-forgotten or never shared insights that made Coach Wooden an unmatched champion and an influential teacher. During this course, we share Coach’s on an doff court lessons Wooden and his students used to build championship careers, businesses, families, and lives. Take Coach Wooden’s advice, apply it, and see how you can be at your absolute best whenever your best is needed. Coach John Wooden’s humble approach to success is unique amongst high achievers. His reliance on the fundamentals, his focus on character building, and his steadfast discipline are a refreshing reminder that success is achievable but only when based on a core, proven framework. This 10-module course will take a deep dive into The Pyramid of Success and reveal the step-by-step process that teams, organizations and individuals have used for more than 6 decades to reach the top of their fields, become standout influencers, and build legacies of meaning and substance.